BEVERLY - Allegra L. (Sharp) Tilton, 75, went home to be with the Lord on Wednesday, October 17, 2018 at the Kaplan Family Hospice House in Danvers surrounded by her loving family. Born in Beverly on August 10, 1943, she was the daughter of the late Raymond L., Sr. and Viola B. (Bedford) Sharp. Allegra was a resident of Beverly most of her life. After retiring from Appleseed’s as a Customer Service Representative, Ms. Tilton became very involved at the Beverly Senior Center, where once or twice a week she would help prepare the refreshments served. She also joined the Senior Center Knitting Club. She was an avid knitter and crocheter, making many hats and blankets which were donated to various charitable causes. She has also been active in her church for many years. Ms. Tilton lived a life of service to her church, community, and numerous charities. She was a devout Christian in both faith and deed. She was a Deaconess at the Ignited Church in Salem MA. She will be missed for her sense of humor, her loving kindness, and her unwavering support of friends and family. 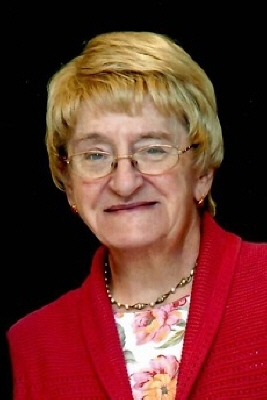 She is survived by her three loving sons, Alan Tilton and his wife, Susan, Andrew Tilton and his wife, Kristi and Stephen Tilton; three grandchildren, Stephanie, Jennifer, and Joshua Tilton; her brother, Bruce Sharp and his wife, Priscilla and her sister, Elizabeth “Betty” Scarcella and her husband, Joseph and several nieces and nephews. She was also predeceased by her brother, Raymond L. Sharp Jr. and his wife Joan. Her funeral service will be held on Friday in the Campbell Funeral Home, 525 Cabot St., Beverly at 12:30 p.m. Visitation will be held prior to the service from 10 a.m. - 12:30 p.m. Relatives and friends are cordially invited to attend. Interment will follow in the North Beverly Cemetery. In lieu of flowers, donations can be made in her memory to the Brain Aneurysm Program at Mass. General Hospital, c/o Rachel Mastone, 125 Nashua Street, Suite 540, Boston MA 02114 or to Care Dimensions, 75 Sylvan St., Suite B-102, Danvers, MA 01923. Information, directions and condolences at www.campbellfuneral.com . To send flowers or a remembrance gift to the family of Allegra L. Tilton, please visit our Tribute Store. "Email Address" would like to share the life celebration of Allegra L. Tilton. Click on the "link" to go to share a favorite memory or leave a condolence message for the family.